‘Serendipity' is a term used in science to describe an unintentional gain of knowledge, finding something you weren't expecting to find. This strong pop album by Copenhagen-based producer Ronni Vindahl might offer exactly that, if not even more. 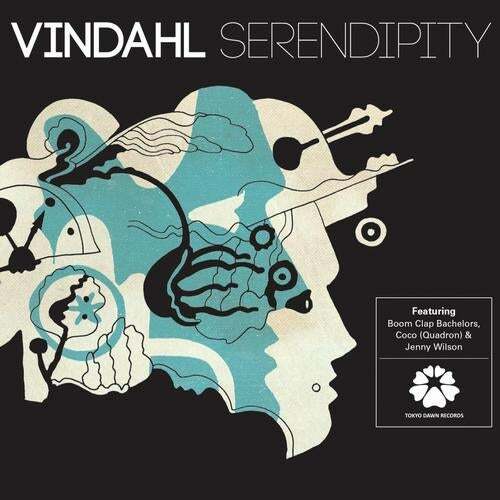 As co-founder of the vanguard soul collective Boom Clap Bachelors, Vindahl has also been involved with numerous offspring projects such as Ivory&Gold, Robi, Kris Mars and Non+. This first album project to be released under his real name has been his secret heart project for more than four years now, its release date being postponed numerous times for further rounds of perfectioning. Of course ‘Serendipity' is first and foremost a bold electronic indie pop album, but it goes further, integrating insights from his work in philosophy and art galleries into the album concept. Musical influences as diverse as Talking Heads, Spandeau Ballet, Trevor Horn and Prince shimmer through, complemented by lyrics often based on themes of duality as the album cover indicates. Guest artists featured on ‘Serenpidity' include swedish pop star Jenny Wilson, Coco from Quadron and a bonus remix by the Boom Clap Bachelors. An album which is lot more than just an unintentional gain of knowledge, but a serious piece of pop art!